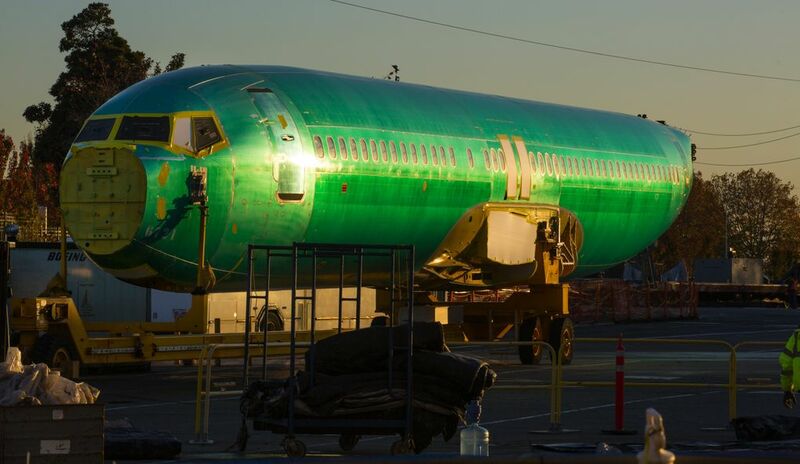 Boeing has been hit by a slowdown in deliveries of 737 fuselages, apparently because of supply-chain problems at subcontractors to Spirit AeroSystems. Boeing says jet deliveries to customers have not been affected, and it expects the problems to clear in a couple of weeks. Boeing has been hit by a slowdown in deliveries of 737 fuselages from Spirit AeroSystems in Wichita, Kansas. Although Boeing says it’s a short-term problem, the supply-chain glitch is threatening to stem, at least temporarily, the flow of cash it derives from the normally super-productive 737 program. Boeing spokesman Doug Alder conceded that fuselage deliveries have been slowed but he said, so far, customer deliveries have not been affected. The slowdown affects the complete fuselages that are delivered on rail cars daily from Wichita to Renton, where Boeing attaches the wings and installs all the airplane systems as well as the cabin interiors. At the current production rate of 47 airplane deliveries per month, more than two jets roll out every working day from the Renton assembly plant, requiring a steady supply of those fuselages from Spirit. Two weeks ago, the plant rolled out the 10,000th 737. And last year, about 42 percent of Boeing’s commercial-airplane-sales revenue came from the 737 program. Spirit spokesman Fred Malley said the company has had problems in getting some parts from sub-tier suppliers. More direct remarks by Spirit Chief Executive Tom Gentile almost two weeks ago ata JP Morgan industrial conference suggest the fuselage-delivery slowdown stems from problems in the company’s sub-tier supply chain. In a question-and-answer session then, Gentile said supply-chain issues had caused disruption and higher costs in the fourth quarter of last year as more new-model 737 MAX fuselages came through the system at the same time as production was ramped up from 42 jets per month to 47 per month. For that quarter, Spirit recorded a $21.7 million hit to pretax earnings attributed to higher costs on the 737 program. Gentile said the supply-chain problems continued into the first months of this year. Now as the end of the first quarter approaches, that stress is appearing at the Boeing terminus of the supply chain. Gentile said Spirit has identified the problematic suppliers, though he didn’t name them, and has sent out teams headed by executives to help fix their issues. “We feel we’re getting on top of it,” Gentile summarized.